On Tuesday night, a crowd gathered in Victoria’s Parliament House to watch a compelling film that exposes the true intentions of the “wolf in sheep’s clothing” that is the Chinese Communist regime’s global language and culture program, known as the Confucius Institute. The audience watched intently as the story of Sonia Zhao, a Chinese-born former Mandarin teacher for the Confucius Institute (CI), played out on the big screen. The film ‘In the Name of Confucius,’ directed by award-winning documentary maker Doris Liu, was followed by a panel discussion about the influence of CIs in Australia and around the world. Amid an international climate of heightened alert to foreign interference marked by Russian U.S.-election meddling; and closer to home, the dubious CCP-linked “donations” to Australian political leaders, the hidden agenda of the CCP’s CIs have increasingly been called into question. Zhao, the protagonist in the documentary, was trained as a Mandarin teacher in the CI program in Beijing in 2010. As part of her training, the 24-year-old aspiring teacher was told that it was the CIs policy to avoid topics like the Tiananmen Square massacre, Tibet, and Falun Gong in the classroom, and that if she was pressed by a student for an answer, to just state the party line, said director Liu. As the daughter of a Falun Gong practitioner and having practiced the spiritual discipline since childhood, Zhao felt conflicted by the provision in the CI contract stipulating that instructors could not be Falun Gong practitioners or associate with them. However, having already been deemed qualified for the role by the CI, to renege on the job offer without a reason acceptable to the authorities meant possible imprisonment. Zhao accepted the position in what she considered be an act of self-preservation. She then commenced her role as a CI teacher in Canada. 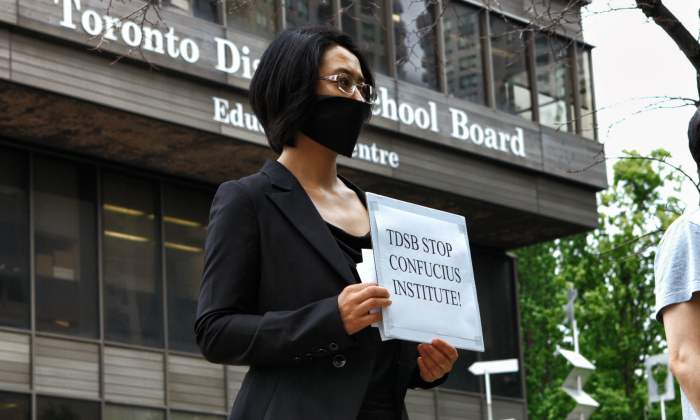 As they watched “In the Name of Confucius,” the audience followed the story of Zhao’s defection and the complaint that she filed with the Human Rights Tribunal of Ontario that led to the first closure of a CI at a North American university campus. Currently there are around 100 CIs in operation in American universities. Complaints against CIs range from the blanking out of “sensitive” aspects of China’s communist history in CI textbooks to policies of open discrimination when hiring, and even that the institutes could be used as surveillance hubs on university campuses posing a threat to security. The NSW Department of Education is currently investigating such concerns about the operation of CIs within the state. The main concern has been that children in Australia will be exposed to CCP propaganda through the instruction and “educational” materials provided by the CCP-funded program. CI classrooms have been operating in 13 NSW primary and secondary schools. Liu was among the panelists of the forum that followed the Melbourne Parliament House screening of “In the Name of Confucius” on Tuesday night. Hosting the event was Australian Conservatives Party MP, Dr Rachel Carling-Jenkins. Jenkins, who identifies as a staunch proponent of human rights, locates the CIs within a larger CCP scheme of extending its oppression beyond China’s boundaries. “[Their] overall goal … is oppression. To continue that oppression, to make sure that voices are not heard, either in their own country or here in the west,” Jenkins said. Her comments were echoed by the president of the Tibetan Community of Victoria, Tenzin Lobsang Khangsar. “They are trying to occupy the people’s mind and the influence throughout the world, and parasite the communist ideology—which is what they have done to the Tibetans,” he said. Khangsar compared the CIs offer of “free” education to the promises of support and “liberalisation” that the CCP made to the Tibetan people as the regime gradually occupied their country over half a century ago. Former senior member of the Liberal Party, Andrew Bush also views the CI as a CCP ideological inroad into other countries. 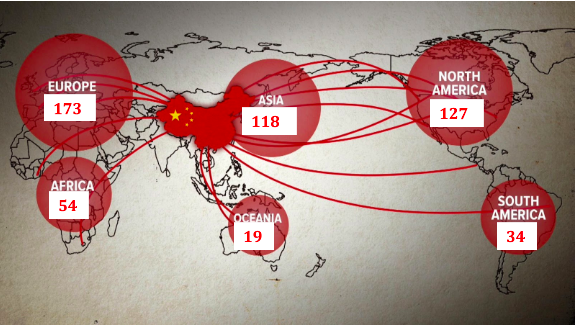 “[It is] a way the Chinese government wants to get itself and its ideas accepted, and is wrong. “We should not have children being the pawn of an overseas government to try and increase its influence in our country,” Bush added. As head of the parliamentary joint committee on intelligence and security, Liberal MP Andrew Hastie is stationed squarely at the frontline of unfolding political tensions between Australia and the CCP.